At Blue Door Painting, we don’t just paint over the flaws - we restore and prepare surfaces before completing the color. 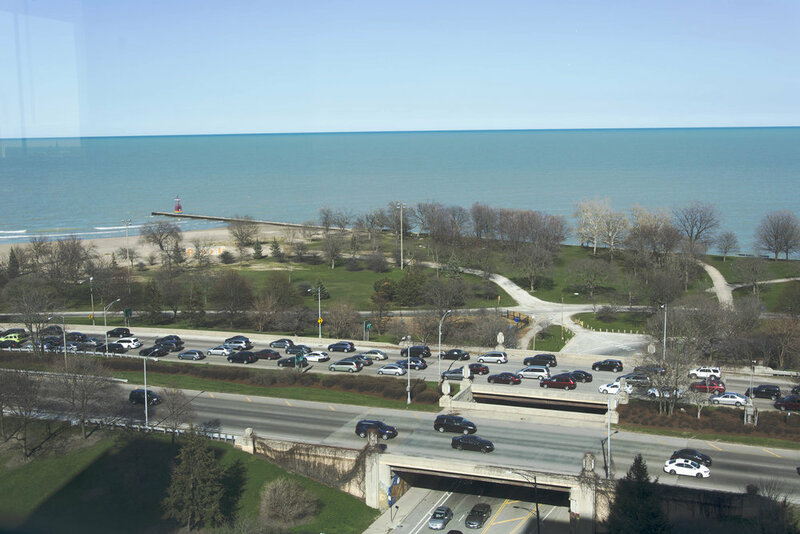 A recent Lake Shore Drive condominium refresh required us to repair extensive existing ceiling damage caused by water leaking into the apartment. Our expert repairs not only made for a smoother painting surface, but they rectified an issue that could cause larger problems down the line. Once we restored the ceilings to a perfect, like-new finish, we painted the whole home interior to provide a much needed update. Now the homeowners can sit back and enjoy the gorgeous lake views! This one bed, one bath Edgewater condo has impressive views, so we wanted to give the interior an impressive facelift to match. The walls were an unappealing yellow shade, with mismatched decor elements. We updated the yellow in the main living space to a calming green - SAGE SW 2860 by Sherwin Williams - with bright white trim. 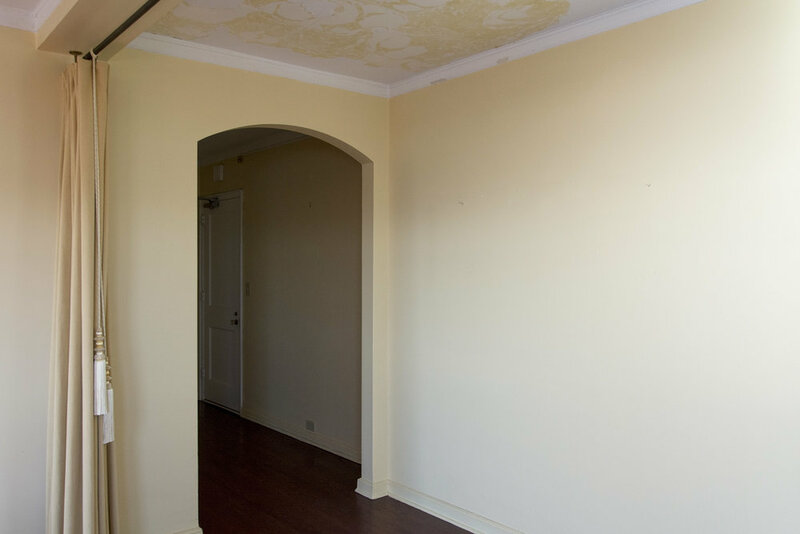 As you can see in the photos below, the water damage on the ceiling was considerable and spanned the entire hallway and into other areas of the home. After meticulous repairs, we updated the look with a clean white to match the trim. In the foyer, we updated the existing yellow to the more subdued Ambitious Amber 6366 by Sherwin Williams. The brightness of this shade complemented the white trim, ceilings and doors to give the space an airy quality. To give the bedroom a unique feel, we replaced the bright yellow with a relaxing shade of purple - Beguiling Mauve 6269 by Sherwin Williams. We also painted the metal radiators in each room to match the walls for a more cohesive look. This full interior update has been one of our most extensive interior jobs this summer, and we’re proud to share the final product with you! 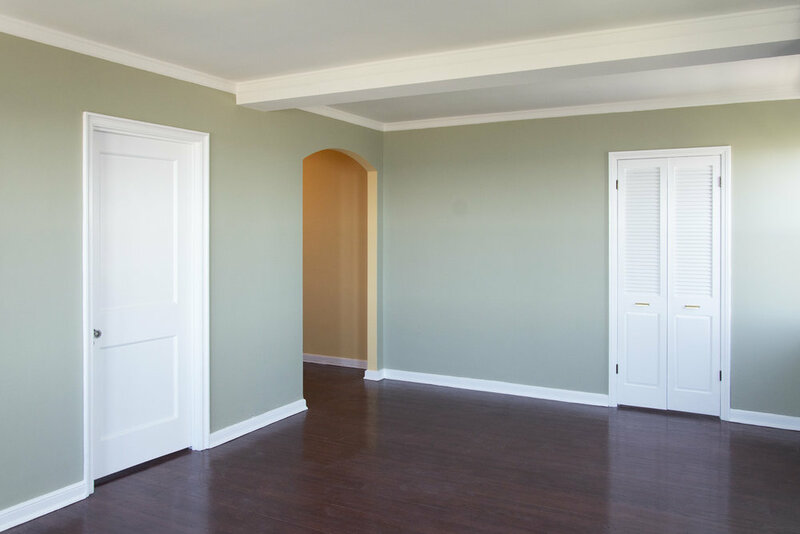 Blue Door Painting is a five-star rated, highly experienced professional painting contractor that delivers quality interior and exterior painting services to condominium associations in the Chicago area. Contact Blue Door Painting today to get a free estimate for any painting project – we are fast, professional and affordable!